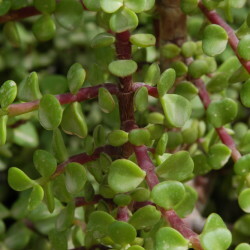 This popular succulent is native to scrub vegetation, thickets and dry riverbeds in eastern South Africa and Mozambique. 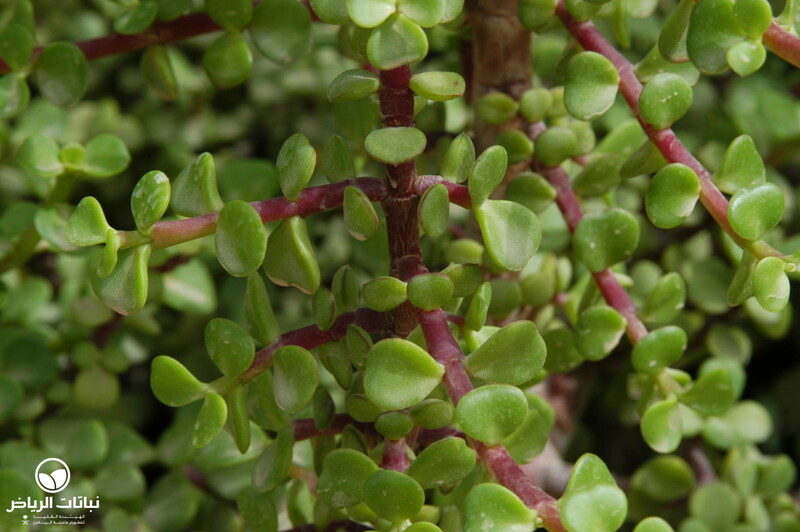 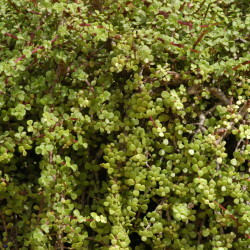 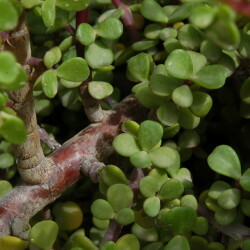 The Porkbush is now planted around the world for its ability to survive certain extremes. 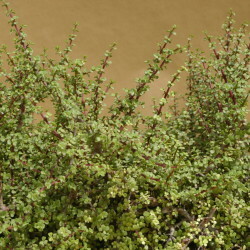 It stands heat and drought even as a pot plant, and may be used as a bonsai. 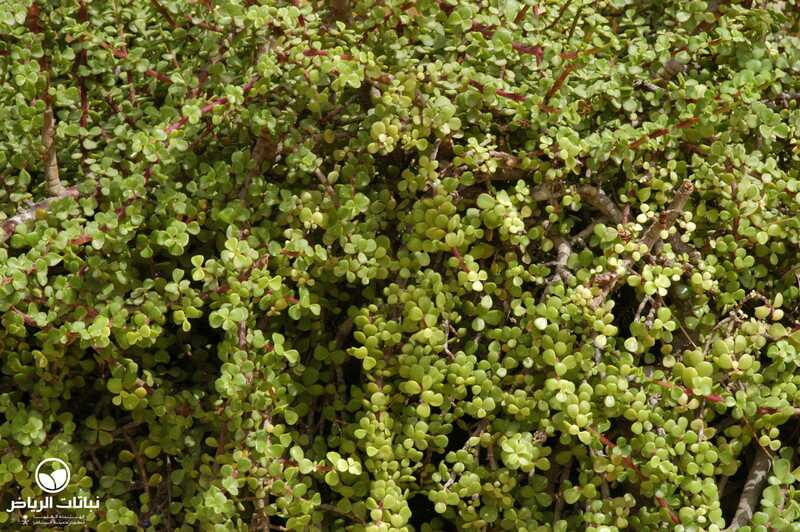 It is often seen on footpaths and in planters in Arriyadh. 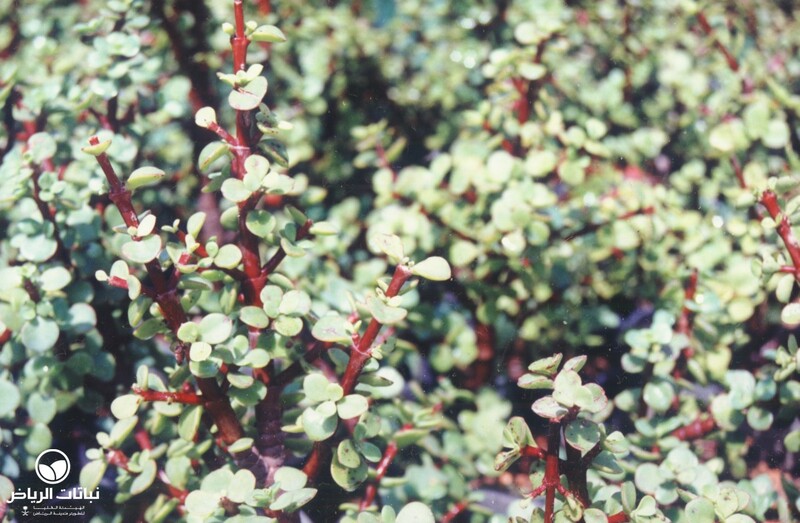 The Porkbush usually grows as an oval or round shrub some 2 metres high, but under favourable conditions it can reach double this size. 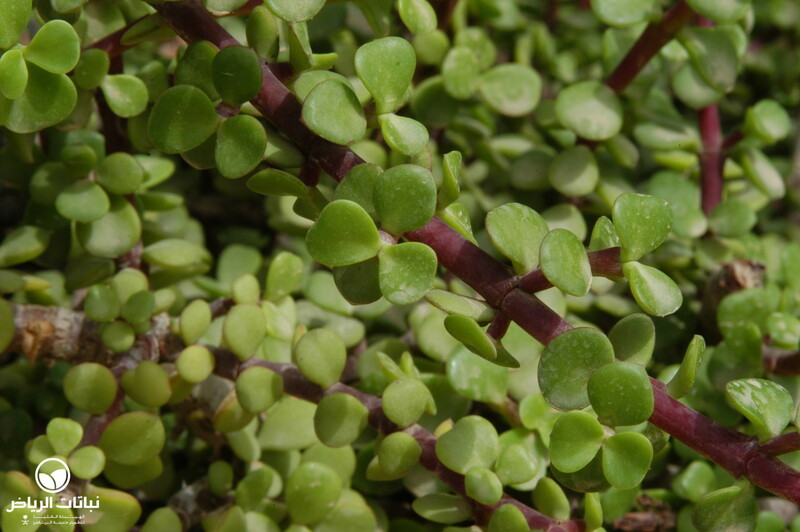 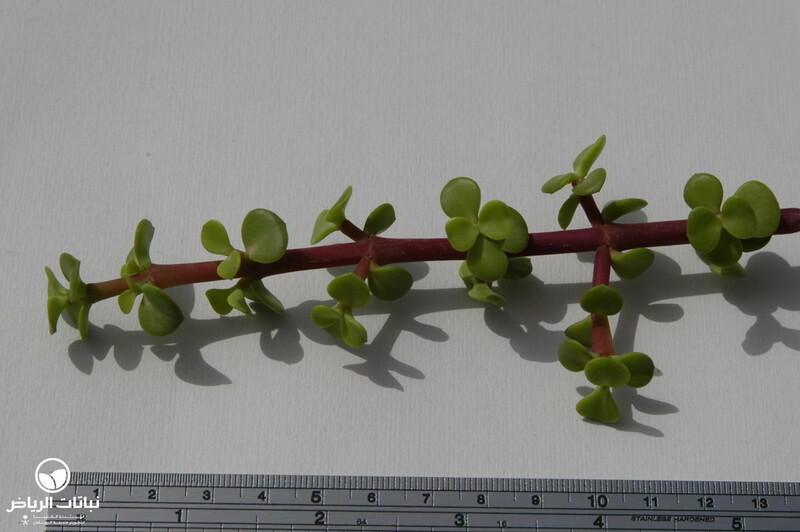 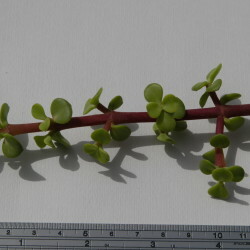 Reddish-brown, fleshy stems are aligned with round, succulent foliage. 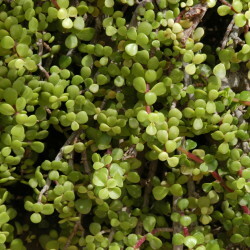 In early spring, tiny flowers emerge in light pink. 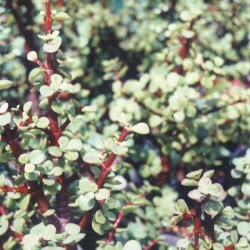 Porkbushes take severe pruning. 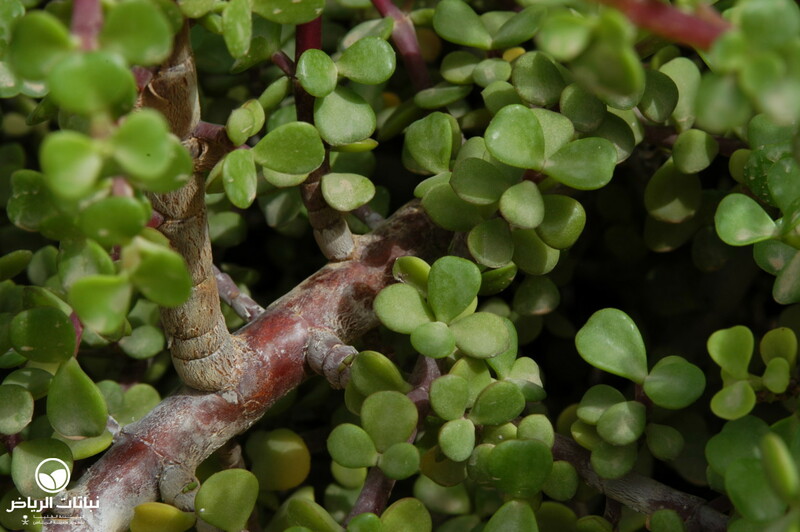 In its homeland, they are occasionally browsed by elephants and quickly recover from the base. 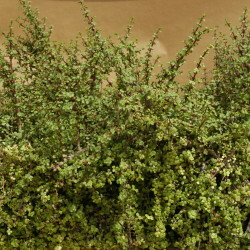 Clipping and pinching allow the plant to be grown in any sculptural shape desired, or as a hedge. 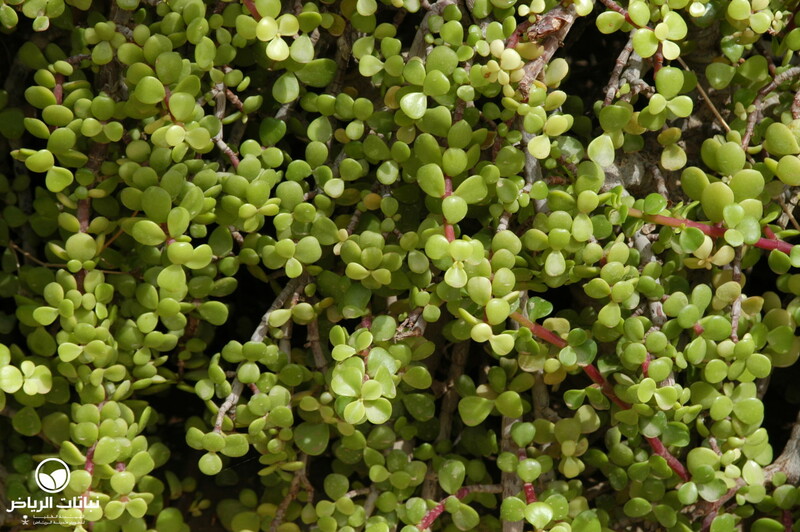 It can be grouped or grown as a specimen plant in rock gardens and any arid landscape. 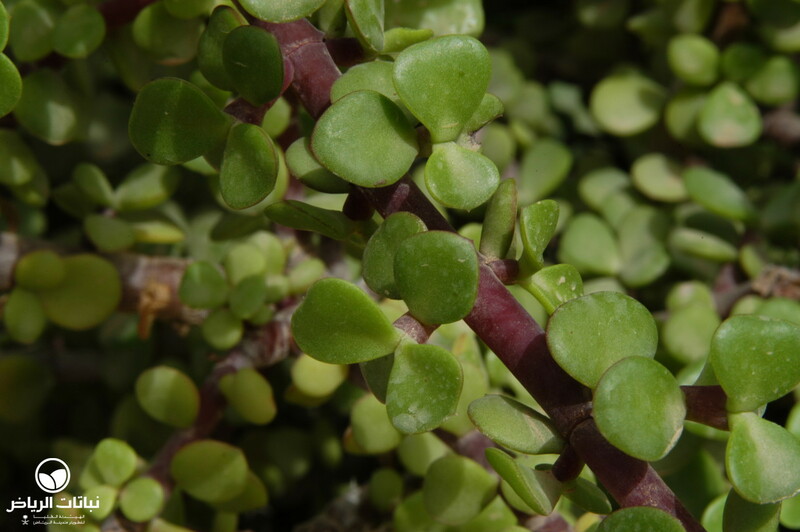 Some cultivars have peculiar characteristics, such as ‘Aurea’ with its yellow-green foliage and ‘Foliis variegatis’ with ivory leaf edges. 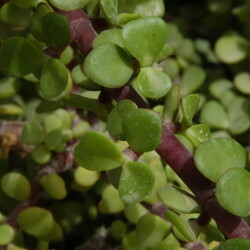 Interesting is ‘Limpopo’ with larger, ovate leaves up to 3 cm in length and 2 cm in width. 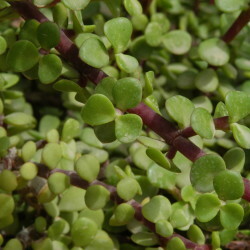 The foliage is edible and somewhat sour in taste. 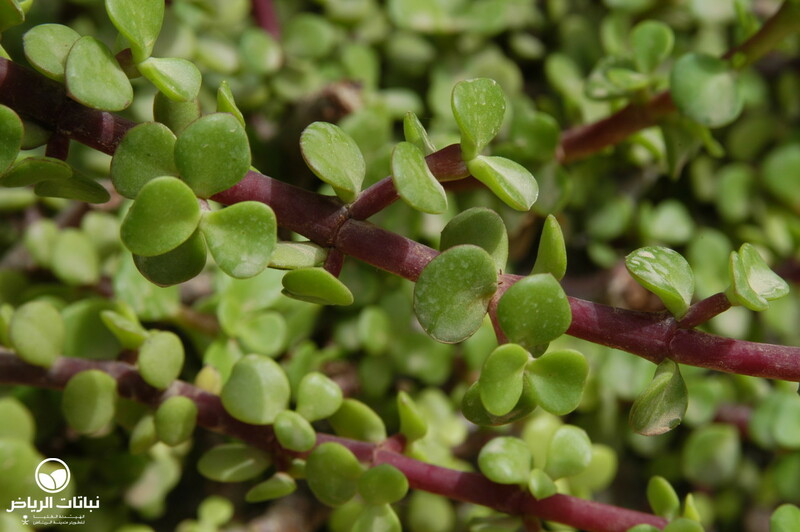 It brings relief to sore throats and cure mouth infections, as well as insect stings and sunburns. 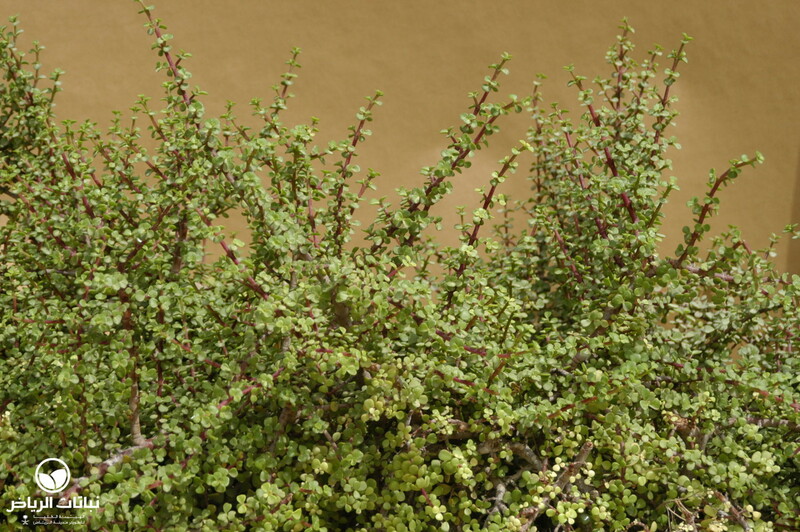 Its deep roots and resistance to drought make this shrub an ideal soil stabiliser on slopes. 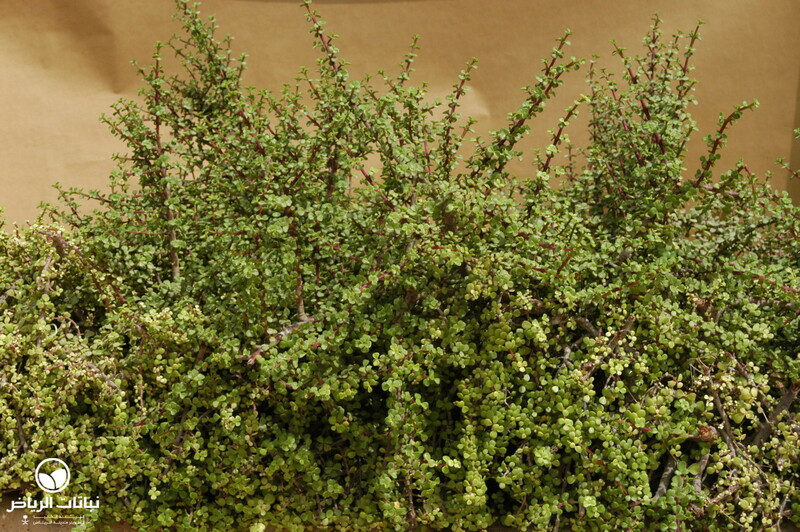 Both full sun and semi-shade are accepted. 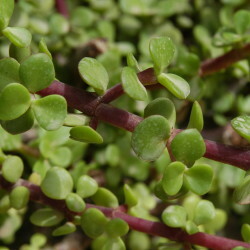 Propagation is very simple by cuttings that should be allowed to dry before being placed in a mix of sand and compost.